Getachew, Daniel and Sisay enjoying the ceremony! As summer vacation began, the children received their school report cards with their end of year results. As Yenege Tesfa proudly promotes and encourages education for each and every one of its children, the organisation was extremely proud to see the results of the students. 26 of the 53 Yenege Tesfa children had come in either first, second or third place in their classes! 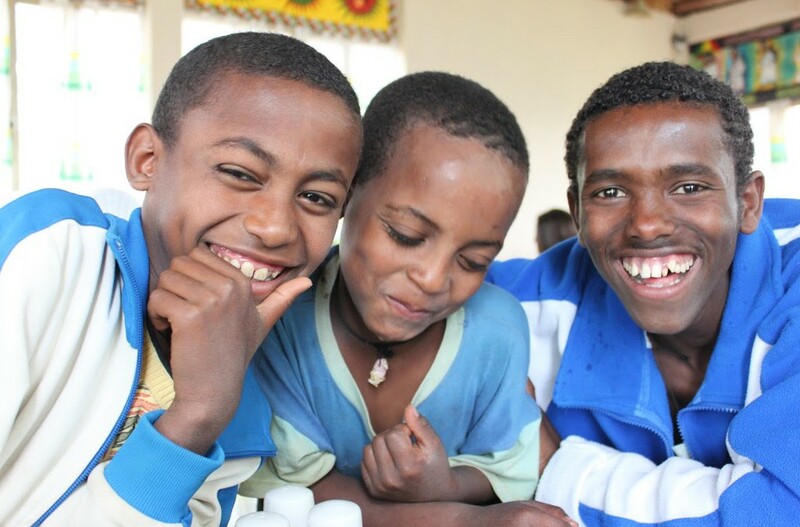 In classes of roughly 40 children, it is certainly a remarkable achievement that 50% of the Yenege Tesfa children are taking the top 3 places. 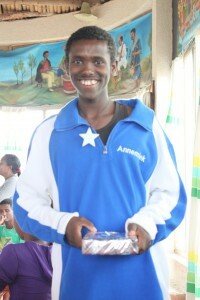 The children’s hard work did not go unrewarded and a prize ceremony was held soon after. The prize ceremony was held at the beautiful Mintwab lodge, on a mountain overlooking the city of Gondar. The lodge owner , a good friend of Yenege Tesfa and owner of the boys’ home, kindly let us use the location for the day, for our award ceremony. Dr. Mulat Abegaz is an excellent example to the children as a man who has built himself up and still continues to give to his community. We hope that they learn from him how big their own dreams should be for the future. At the ceremony, each student that had come in first, second or third place at school received a prize for their hard efforts. The prize ceremony served not only to congratulate the students that had done so well at school, but also to encourage their fellow brothers and sisters to aspire to the same standards and we look forward to seeing the positive effect that this has in the coming school term!